Most who are interested in WWII aviation history are aware that one of the reasons the United States won the war was her amazing record of aircraft production once we were in the fight. From producing scarcely more than 2,000 military aircraft in 1939 to over 96,000 in 1944, the record year, the US produced a total of over 303,000 military aircraft during the war years. But where did we get the pilots to fly them? In 1939 the Army had a total of only 4,502 pilots, including 2,007 active-duty officers, 2,187 reserve officers and 308 national guard officers. The number of new Army-trained pilots grew rapidly each year as war seemed more likely, from 982 in 1939, to about 8,000 in 1940, to more than 27,000 in 1941 -- but many more were needed, and the Army by itself could not train the huge numbers of cadets desperately required. But we had a plan. In 1938 President Franklin D. Roosevelt had given his support to a program to train 20,000 civilian pilots a year. 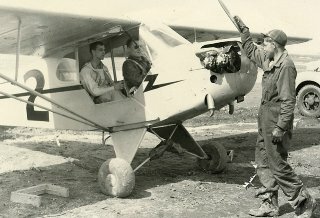 With the clouds of a European war gathering in the east, the United States began a program, known as the Civilian Pilot Training Program (CPTP). Roosevelt supported the plan to train 20,000 civilian pilots a year to create a pool of potential military pilots that he believed the country would need soon. The program created a much-needed pool of civilian fliers who were ready for further military instruction to fly a fast-growing armada of U.S. aircraft. 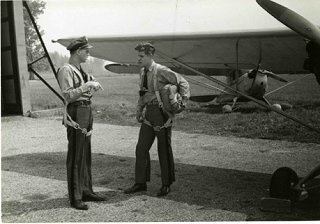 The CPTP eventually operated at 1,132 colleges and universities and 1,460 flight schools, and CPTP-trained pilots did well in further training at USAAF schools. Recording nearly 12 million flying hours, the CPTP trained 435,165 pilots from 1939 to 1944. After the attack on Pearl Harbor, the CPTP's name changed to the War Training Service (WTS). From 1942 until the program ended in the summer of 1944, trainees still attended college courses and took private flight training, but they also signed agreements to enter military service after graduation. Trainees from the CPTP entered the Army Air Forces Enlisted Reserve. Many went on to further instruction and commissioned service as combat pilots. Others became service, liaison, ferry and glider pilots, instructors, or commercial pilots in the Air Transport Command. The CPTP gave African Americans and women unprecedented opportunities in aviation. Pioneering black fliers campaigned hard for public awareness of their abilities, and their efforts paid off with an anti discrimination rule within the CPTP -- a landmark in racial equality for blacks in aviation. Though training remained mostly segregated, instruction for black students began at six schools: the West Virginia State College for Negroes, Howard University in Washington, D.C., Tuskegee Institute in Alabama, Hampton Institute in Virginia, Delaware State College for Colored Students, and North Carolina Agricultural and Technical College. The program soon expanded to several more schools. The best known was Tuskegee Institute in Alabama, where the first black USAAF combat pilots were trained. The CPTP graduated around 2,000 black pilots overall. Women also found new opportunities in the CPTP, but these were unfortunately ended before the U.S. entry into World War II. Four women's colleges initially participated, and women were enrolled at other schools at a ratio of one woman for every 10 men. When war preparation needs demanded that all graduates enlist, women were automatically excluded because they were not allowed to fly in the military at that time. Nonetheless, the CPTP trained around 2,500 women by mid-1941, and many of them became Women Airforce Service Pilots, or WASPs. 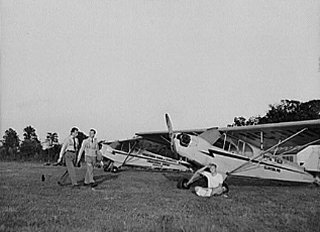 In West Virginia there were six airports where the Civilian Pilot Training Program was being taught, three run by the Navy, three by the Army Air Corps and all as part of a curriculum with a local college. Close to my home, Brinkerhoff Flying Service, which operated a CPTP at College Park, MD operated a satellite school at Lewis Field in Buckhannon. The students were enrolled in the program at West Virginia Wesleyan College, where Arthur B. Gould, Professor of Chemistry and Physical Science at Wesleyan, taught navigation and meteorology to the aspiring aviators. In 1968 when I came to Lewis Field as a young instructor, the airport was almost deserted. Disuse and abandonment was the story the airport whispered to me that cold and blustery February day, and only three dust covered airplanes rested in the dimness of the aging hangar. But It was apparent that something significant had occurred here. Although more than twenty years had passed since this this hangar was home to a cog in a huge training organization, there were still artifacts that attested to it. The hangar for one, was larger and more substantially built than one would expect to find at a country airport with a 1600 foot sod landing strip. The passing years had weathered it, but it remained sturdy and square. The smaller hanger next to it had obviously been the repair shop and used parts that had been replaced by new ones still lay on the shelves in numbers that indicated that they may have maintained small airplanes here, but they did so in a big way. In the years that I operated Cubs and Champs there, I raided parts inventory many times to keep my airplanes in the air. But I discovered the airport's greatest artifact of that wartime era the following year, when one of my students asked if he could trade an old airplane that his uncle had left him for flying time. Of course I said, and he took me to see it. The wings had been removed when it was stored in that barn near Buckhannon, and on that April morning in 1969 I rolled the dust covered Piper out into the first sunlight it had seen since 1951. To my amazement the airplane turned out to be one of the Brinkerhoff trainers, J-3 N25911, which had taught so many pilots at Lewis Field on their way to war. It became my beloved Sundance and shared my life for the next 45 years.